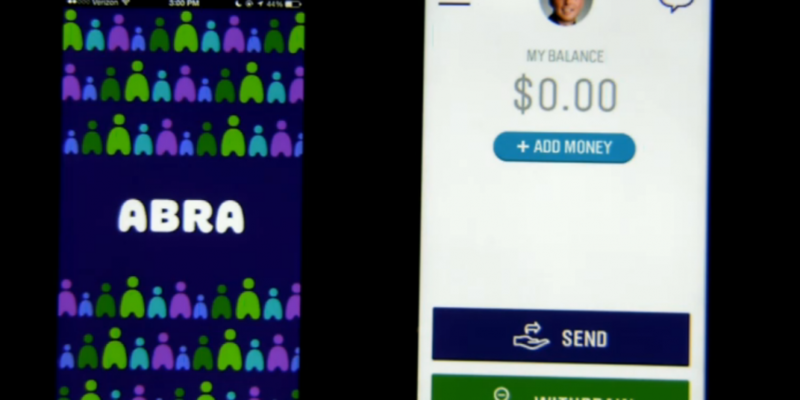 Bill Barhydt, the entrepreneur and former Netscape director who is credited with giving the first TED Talk on bitcoin, has debuted a bitcoin venture called Abra. The announcement, which came on the final day of Launch Festival 2015, ends seven months of silence for the stealth project. Barhydt previously founded mobile banking startup Boom Financial, which raised $17m in 2012, and WebSentric, one of the first online meeting services. Speaking at the event, Barhydt explained that the goal of Abra is to attack the $550bn global remittance market by reducing its associated fees. For ease of use, the app uses bitcoin in the back end to facilitate peer-to-peer transactions, but denominates all transactions in US dollars. Barhydt presented the idea to a panel of judges, walking through how the app uses a trusted network of “tellers”, or users on the network, to facilitate transactions. Users can deposit cash into the app through a teller or by using their debit card, and then send that money anywhere using Abra. Tellers are then subject to a ratings system in order to ensure trust on the network. The entrepreneur described his project in ambitious terms, comparing it to notable mobile money startup M-Pesa, which has become a dominant financial player in Kenya and model for the mobile payments industry. Enabling this scale, Barhydt noted is that peer-to-peer transfers with digital currency don’t bear the same restrictions as those facilitated by a third party. Barhydt went on to explain how the service will attempt to monetize its user base, while allowing users to earn by facilitating transactions. To enroll, users need only provide their name, email address, phone number and city and country of residence. Barhydt has long been active in the bitcoin community, giving the first TED Talk on bitcoin in January of 2012. The 10-minute presentation aimed to address the potential future of the technology, how the network could be improved and whether it would become more mainstream. Since then, however, Barhydt has remained engaged, serving in various capacities with companies in and around the bitcoin space. For example, Barhydt is currently an advisor for bitcoin startup Mirror and bitcoin-friendly startup incubator Boost VC, where he provides mentoring to angel-stage companies.